In works of various dimensions, YAO Chen seeks paths toward transcendence. His music, always ritual in nature, eschews contemporary vogues and instead aims at a timelessness and an otherness that exists beyond the standard categories – music for the moment, but also music for then and music for what lies ahead. Whether his work is brittle or forceful, or often both in coexistence, melancholy and a sense of wonder are recurring characteristics, as is an internationalist orientation grounded in a quest for maximal musical meaning. His perceptions on musical time, timbre, intonation, pulsation, and expression are always at frontiers: between the old and the new, between the East and the West, between irrational mysticism and rational logic. While devoting himself mainly to the field of contemporary art music, YAO also experiments with other genres, writing music for films and theatre productions. Cross-cultural and cross-disciplinary concepts permeate his creative inspiration and compositional output, presenting his understanding of the value of new music in enlivening global cultures. His creative vision and aesthetic pursuit have resulted in his many compositions, such as Two Poems for orchestra , the instrumental theatre piece Paramita, the three-act environmental theatre piece Playing the Opera on Pipa: Romance of the Western Chamber, and many Chinese-Western mixed instrumental works including Tsanglang…Tsanglang for flute, zheng and viola, Yearning for zheng and double bass, Jun for pipa and double bass. These pieces not only demonstrate his talent in navigating situations covering a wide emotional spectrum and dramaturgical elements in music writing, but also reveal his versatility in structuring musical forms that embrace mixed instruments, musical languages and styles. In recent years, his music has received a significant amount of recognition in many distinguished international arenas. His music has been performed by the St. Paul Chamber Orchestra (Grammy winner), Orchestre National de Lorraine, Winnipeg Symphony Orchestra, Orchestra of St. Luke’s, China Philharmonic，ProMusica Chamber Orchestra, Pacifica String Quartet (Grammy Winner), Quatuor Diotima, eighth blackbird (Grammy winner), Tang Quartet, Civitas Ensemble (from Chicago Symphony Orchestra), Camerata Woodwind Quintet, Quintet of the Americas, New Fromm Players, Earplay Ensemble, Israel Contemporary Players, Conundrum, Wild Rumpus New Music Collective, TianYing Chinese Ensemble, Beijing New Music Ensemble, etc. YAO has collaborated with countless artists, including conductors Cliff Colnot, Jacques Mercier,Rei Hotoda, Chen Lin, and Lio Kuokman, violin virtuoso Siow Lee-Chin and He Wei, viola virtuoso Yunjie(Jay) Liu, Xu Peijun and Veit Hertemstein double bassists DaXun Zhang, Michael Cameron and Chen Han-Jui, sopranos Tony Arnold and Allison Angelo, flutists Denis Bouriakov and Clara Novakova, pianist Nareh Arghamanyan, bayan-players Luo Han and Stanislav Venglevski, harpist Nicolas Tulliez, Chinese pipa-players Yang Wei and Lan Weiwei, marimba virtuoso Wen-Chen Lin, Chinese bamboo flutist Zhang Weiliang, zheng player Yu-Chen Wang, Kun Opera singer Lu Jia and Xiao Xiangping. He has also received commissions, awards and fellowships from many prestigious organizations such as the Fromm Music Foundation at Harvard University, Mellon Collaborative Fellowship for Arts Practice and Scholarship at University of Chicago, New Music USA, Radio France (Festival Presence and Alla Breve), ASCAP, Barnett Family Foundation Flute Competition, Leonard Bernstein Fund, Art Institute of Chicago & Silk Road Chicago Project, Pittsburgh Symphony Orchestra, TMSK Liu Tianhua Composition Competition, Greece International Composition Competition, East Carolina University Orchestral Composition Competition, Aspen Music Festival, Chinese Fine Arts Society International Composition Competition, Viacom-Sumner M. Redstone Foundation in China, Central Conservatory of Music, University of Chicago, etc. YAO has shared his music with audiences at many music festivals throughout the world, including the Radio France’Festival Présences, Tanglewood Music Festival, Aspen Music Festival, ISCM’s World Music Days (Slovenia), Centre Acanthes Festival, Pacific Music Festival in Japan, Asian Composers League Festival (Israel, Singapore and Japan), Moscow International Accordion Competition, International Tianjin Accordion Festival, Deutsch-Chinesisches Classic Music Festival (Germany), Stode Musicveckai (Sweden), Beijing Modern Music Festival, Chicago Contempo Concerts, June In Buffalo Contemporary Festival, Poznan Musical Spring Festival (Poland), SoundField Music Festival (Chicago), soundSCAPE Music Festival (Italy), Random Access Music New Music Festival and the Music of Now Marathon Festival in New York City, East Carolina University New Music Festival, University of Louisville New Music Festival. 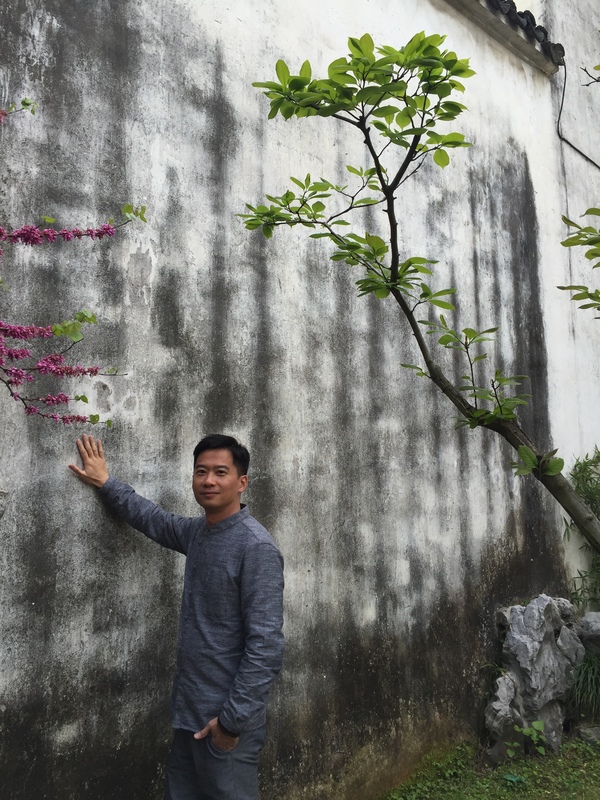 YAO embarked on his lifelong musical journey in the People’s Republic of China. He received training in composition at Xinghai Conservatory of Music and Central Conservatory of Music. He received in his Ph.D in Composition from the University of Chicago. He is currently associate professor of composition at Central Conservatory of Music in Beijing. In the past, he has hold professorships at the University of Chicago Music Department, the University of Illinois at Urbana-Champaign School of Music, the Illinois State University School of Music, and the Soochow University School of Music in China. YAO is his family name, and Chen is his given name.